Is your body equally strong from side to side and front to back? Here’s how to find out. When you stand with one knee parallel to the floor, is your body in a straight line from top to bottom? Are your shoulders and hips level from side to side? 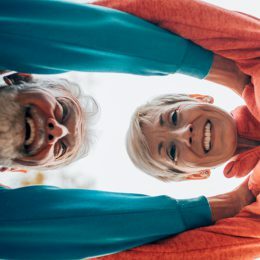 In this video, SilverSneakers fitness expert David Jack, along with physical therapist Mark Greenwood, explains how this quick test can give you clues about your body symmetry, any muscle imbalances, and risk for pain or injury. You’ll need a mirror, preferably one that allows you to see your whole body. You may also want to perform this near a wall, chair, or other object that you can hold on to if needed. Try the test now, then see what your results mean below. If you’re not able to stand safely on one foot or have a condition that affects your spine, skip the test, but check out the tips below. That’s a sign you have good body symmetry and balanced muscles. Why this matters: You’re putting less stress on your bones and joints, which helps protect you from pain or injury. Help yourself stay aligned with good workout habits. With cardio exercise, switch up your routine now and then. Moving the same exact way day after day—walking on the same route or using the same machine—can lead to muscle imbalances. With strength training, don’t forget about the muscles you can’t see. It’s tempting to work only the “mirror muscles,” or the muscles you see when standing in front of a mirror: the front of your arms, torso, and legs. But the back of your arms, torso, and legs matter too, especially for total-body strength and stability. Give your backside some love with this 20-minute workout. That’s a sign of asymmetry or imbalance. And if you move with an imbalanced body, you add stress to your bones and joints, which can lead to pain, injury, or dysfunction. Talking to your doctor or physical therapist can help you figure out what good body alignment looks like for you and the best way to fix any muscle imbalances. What else can help: SilverSneakers classes, which often focus on total-body strength and stability. Talk to your doctor about what body symmetry looks like for you and how you can achieve it. What is right for someone else may not look exactly right for you, but many of the same principles still apply. For example, if you use a cane, proper positioning can help you stay safe and ease stress on your joints. 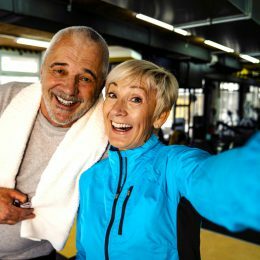 What types of exercise are appropriate for me? How often and how much should I do them? Are there precautions or steps I should take? 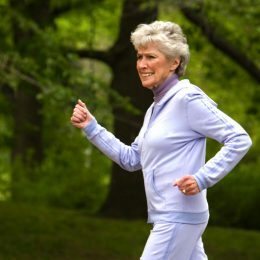 If you have osteoporosis, check out these four rules for exercising with osteoporosis.